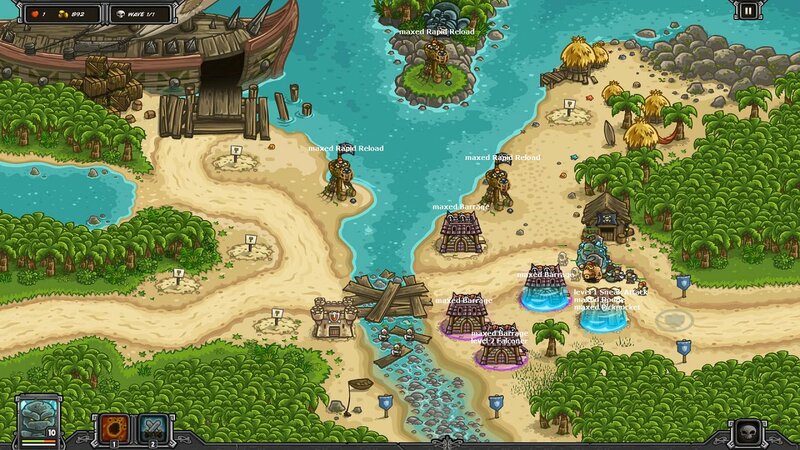 IRONHIDE COMMUNITY FORUM • View topic - Post Your Kingdom Rush Pictures! 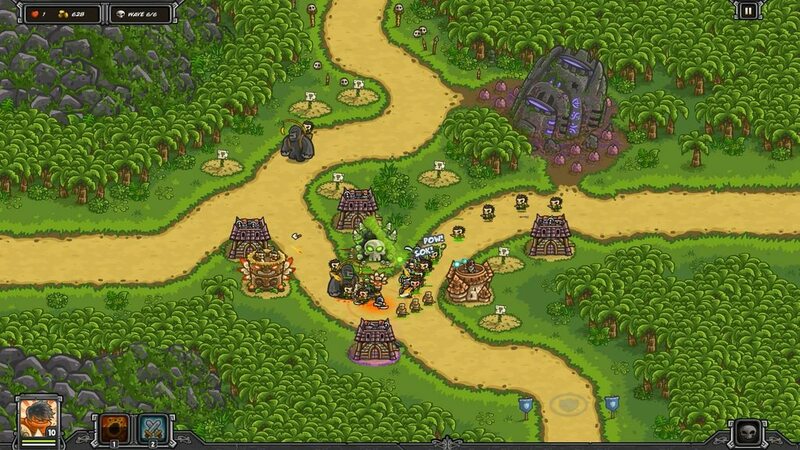 Post Your Kingdom Rush Pictures! 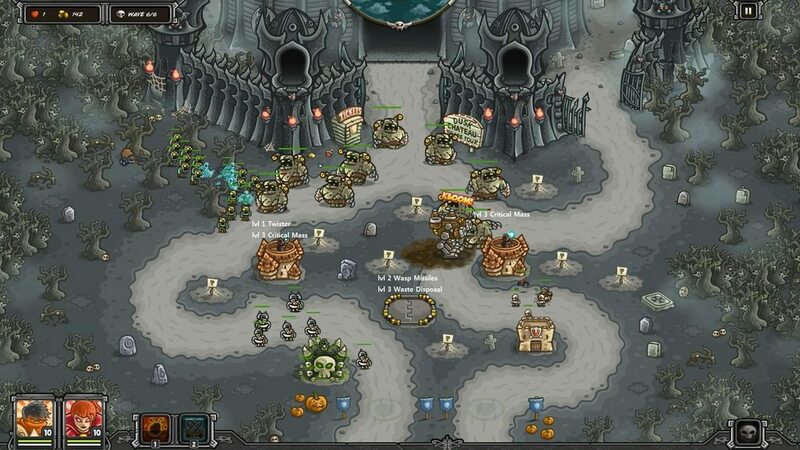 Re: Post Your Kingdom Rush Pictures! RaZoR LeAf wrote: It's with short clips like this that you can see things you didn't notice in the past. There's one Razorwing killed by arrows just as the others are killed by the Voodoo Doll, but after one of the skulls was destroyed. Only the arrow killed RW became a new skull, none of the others that were in range did. It's like the result of the Voodoo Doll killing them all acted like an insta-kill and left no remains as oppose to it just dealing a high amount of damage. Here are 2 clips played half-speed. This reminds me of Necromancer Tower in that sometimes it doesn't raise Skeleton from the dead humanoid in its range. This is my final layout for this challenge. and I cut it in 17 minutes. I usually don't fully upgrade Twister but did it on 3 Archmages. 2 Twisters were not enough to handle waves 13, 14 properly when I called the waves too early. This is the first time I found him more useful than my go-to heroes; Alric and Bruxa. My favorite ability of Dante is Beacon of Light. It is passive and can be unnoticeable but one could feel Assassins are stronger in his presence. Last edited by sunnydaler on Tue Jun 12, 2018 4:48 pm, edited 1 time in total. I always get Lycans and Werewolves leaking out of the bottom route, I assume you moved the central Assassins around to where they were needed the most? RaZoR LeAf wrote: I always get Lycans and Werewolves leaking out of the bottom route, I assume you moved the central Assassins around to where they were needed the most? Yes yes yes. That is the best spot for barracks I can think of. Never did this much micro management before but it was fun. Alric is the most versatile and reliable hero! Who else can go toe-to-toe with Bluegales, or block multiple enemies? Nobody. That's why he is my favorite hero and the backbone of many strategies of mine. 1 DWAARP with level 1 Core Drill and level 3 Furnace Blast. Core Drill killed 2 Bloodshells and 5 Blacksurges. I left 3 Shrine of Regnos' as they were; no upgrade. 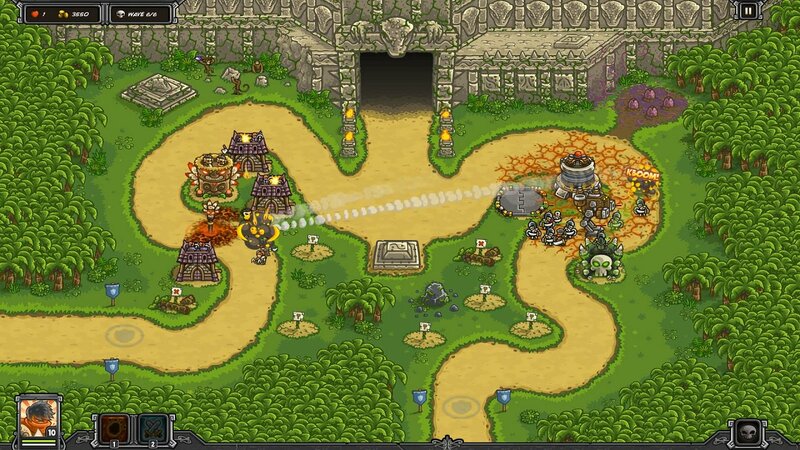 Battle-Mecha (w/o upgrade) on the East island, and level 3 artillery on the main island. then, I upgraded it to DWAARP right away. I learn a lot from playing challenge multiple times while devising a strategy. Today was no exception. 1. Everything goes like clockwork in a single-wave Iron challenge. Thus, if the timing of Core Drill upgrade is right on, you can get the most out of 400 gold. Even if it is disabled by Blacksurges, it cannot be stopped once the drill goes down. 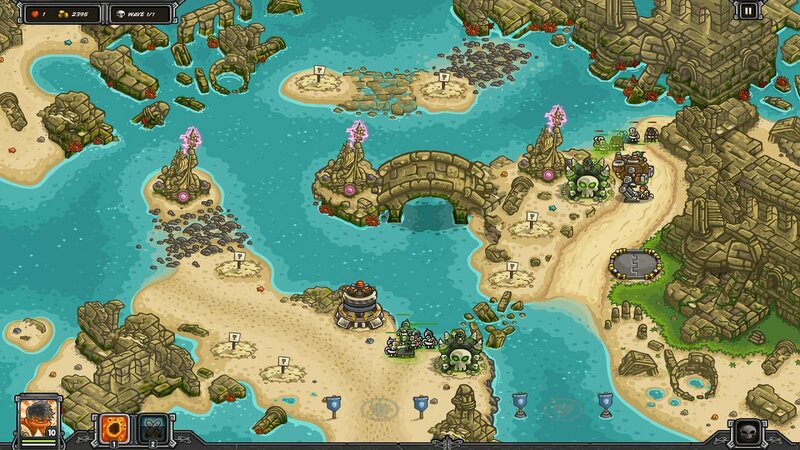 I see no need to build Archmage Tower or to upgrade Shrine of Regnos. 2. 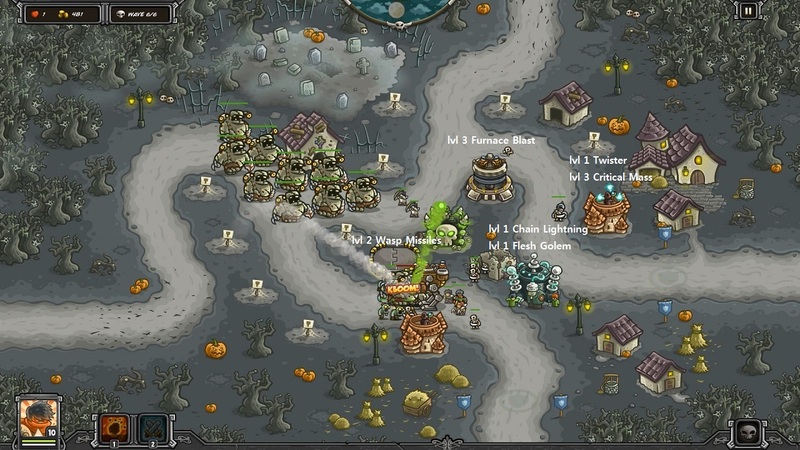 Necromancer Tower with Death Rider and Battle-Mecha can take care of the East island by themselves. 3. For Blacksurges that spawn from the West and go on the ground path, I didn't use Shrine of Regnos to outright kill them but to bring down their HP. Otherwise, they would retreat into their shells and regen massively. Only 3 Blacksurges appear in this challenge. But when a single turtle can disable 4 towers... they cause serious trouble. Given its brainless targeting, Tribal Axethowers' Totem of Spirit is obsolete. And there are 11 Gunboats, too. It's managable when they appear alone from time to time. But it is a different story when three of them spawn 10 seconds apart (twice!) and shoot many more than before. IMO, Grawl is the best fit for this challenge among humanoid heroes. 1. He has the highest health; 900 HP. When the others require micromanagement, he can tank all those damage in his place and do his job no matter what. 2. AoE ability to stun and damage; Stomp. With 15 seconds of reload time, it prevents leakage and gives units a breather. 3. Ranged attack; Boulder Throw. It kills a bunch of Desert Thugs in a single shot and deals a heavy blow to Desert Archers. My favorite hero Alric doesn't fare well here. His Sand Warriors are only good for blocking and he has to go thru 1 by 1 to kill some. At first, I maxed Rapid Reload on all Pirate Watchtowers (it is a must for this challenge while Parrot Bomb is costly, visually enjoyable though. 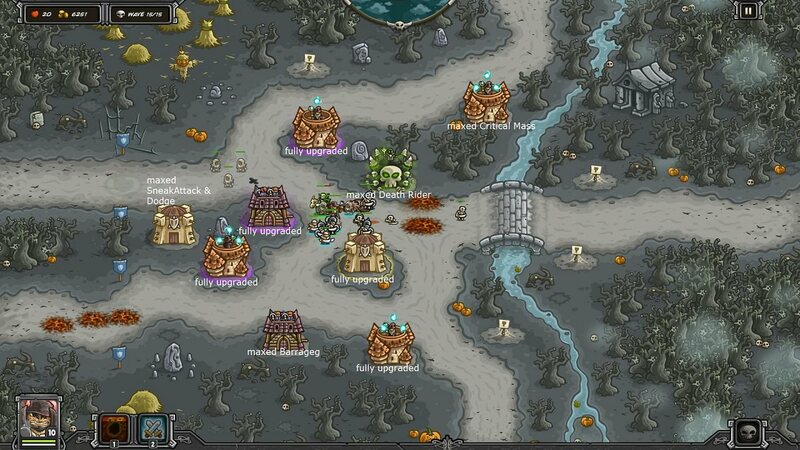 ), and built 1 each of Crossbow Fort and Assassins (level 1 Sneak Attack, maxed the other abilities - Pickpocket is just for fun. ) near the exit. Rain of Fire is used only on Gunboats. Last edited by sunnydaler on Sat Jun 23, 2018 5:17 pm, edited 4 times in total. When all waves are instantly called, this challenge becomes very difficult and it takes only 6 minutes to beat. 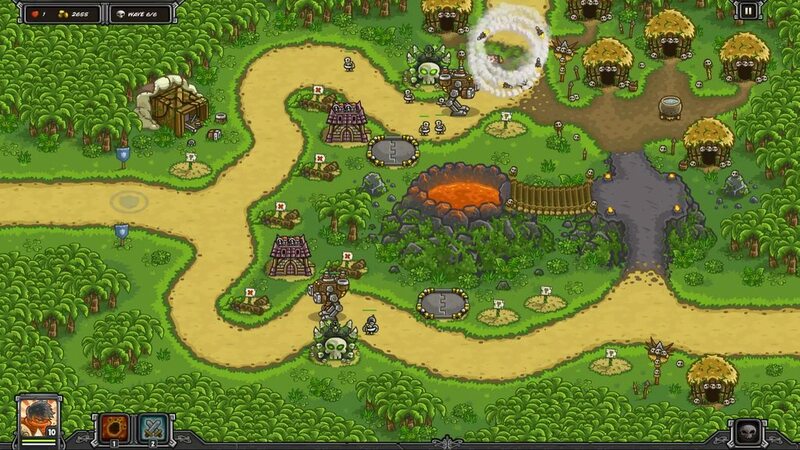 The west side is dominated by 13 Gorillons with 54 Poukai Riders, and 25 Savage Hunters. The east side sees only Savage Warriors and Shamans and is a lot easier to handle. Sha'tra is the best fit for this because he can abduct 10 to 11 Gorillons. But it felt like cheating So I turned back to Alric. It would be super hard if one opts to use other heroes. It was after the towers on the west are all set up that I moved Alric to the east. This challenge is not much different from the campaign. So is my layout.Just 2 less battle mechas. I put Necromancer Towers on the corners in order to cover the most area, and Crossbow Forts in the back to catch leaks; Poukais. I found out that Savage Zombies do not take toxic damage of Pestilence, just like Zombies in Shadowmoon. I had to figure out when and where to use 2 spells in the first 3 waves. It was easy after that. Hmm ... that’s a lot of Musketeers. Interesting. Beheader's Seat Iron - veteran with Catha. I started it with level-3 archer and level-1 barracks on the left, and Golden Longbow (w. level-1 hunter's mark) in the middle. and die-hard big enemies on the right side. I once thought this challenge is difficult without a powerful hero like Vez'nan. But Catha proved me wrong. Her hero spell with a quick CD is really helpful in hindering enemies' procession and piling them together for thunderbolt. And she is excellent in dealing with large groups of weak enemies due to pixie warriors and healing ability. Sometimes I find her more useful than Eridan, though rarely. I beat it in 5 and a half minutes. No one seems to talk about this challenge. But, in my opinion, this is a really tricky one to crack. Poukai Riders are and you have to kite them with Alric to make them stay in the towers' range. Besides, it is crucial to know when and where to use Rain of Fire. And I gradually upgraded two mages into Necromancer (lvl 1 death rider) and Archmage (lvl 2 twister, lvl 3 critical mass). then I built 2 more Crossbow forts (lvl 1 barrage on both, lvl 1 falconer on the bottom), and 1 Tribal Axethrowers (lvl 2 totem of weakness). There's none of magic-resistant enemies in this mission. and ghouls and abominations have low armor. I built Necromancer and DWAARP right off the bat. 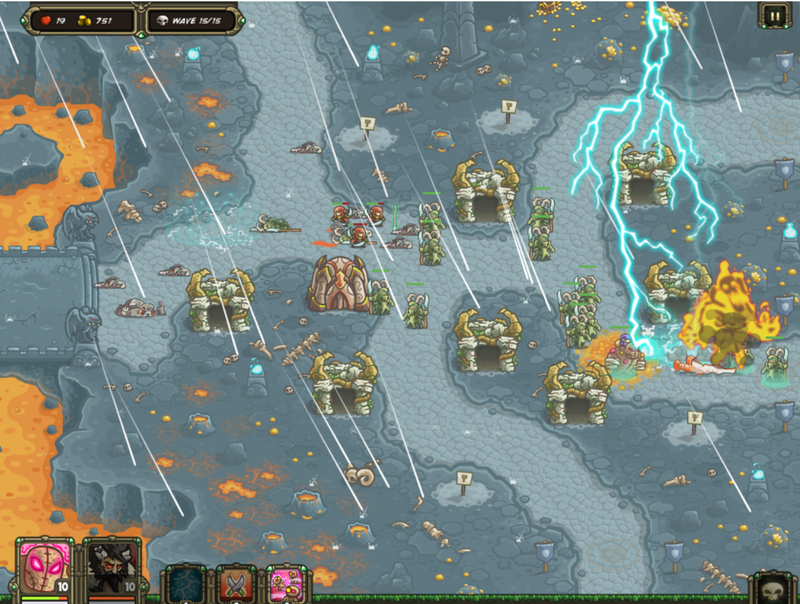 I opted to build Battle Mecha on the left fork because enemies usually head to one path or the other. By changing its rally, I was able to maximize mecha's effectivenss. very tough one to beat. It took me many hours to devise a strategy. 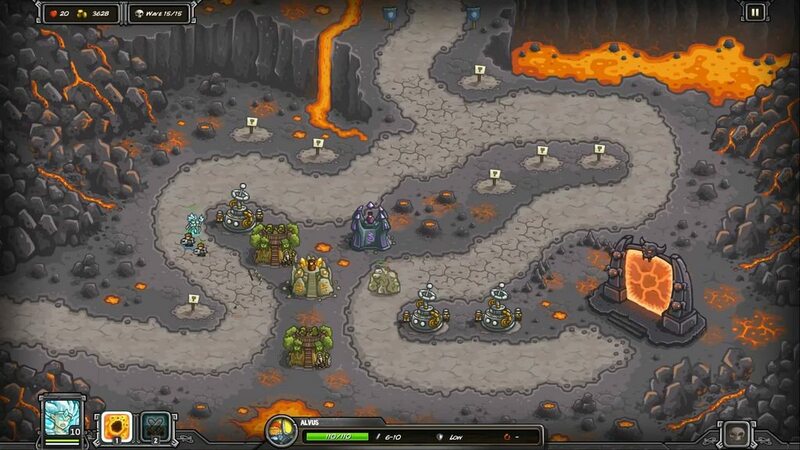 This level gives only around 4k gold, which adds up to its difficulty. 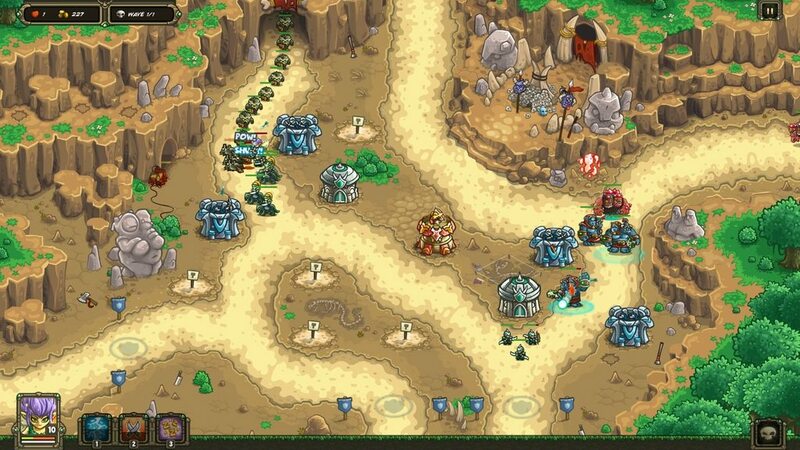 I started with Archmage on the left and Battle Mecha. then a barracks to stall Vampiressas. 2nd Archmage was the last to be built. Tainted Pit, Impossible difficult, 3 stars, only Barracks. Steam version. Forest Keeper Ancient Oak Spear OP.